“Designers often aspire to do more than simply create buildings that are new, functional and attractive–they promise that a new environment will change behaviours and attitudes” (Marmot, 2002, p.252). Where architects expressly announce their intentions and ability to influence behaviour, such as in Danish firm 3XN’s exhibition and book Mind Your Behaviour (3XN, 2010), the behaviours intended and techniques used can range from broad, high-level aspirational strategies such as communal areas “creating the potential for involvement, interaction and knowledge sharing” in a workplace (3XN, 2010) to specific tactics, such as Frank Lloyd Wright’s occasional use of “very confining corridors” for people to walk along “so that when they entered an open space the openness and light would enhance their experience” (Ittelson et al, 1974, p.346). An appreciation of both broad strategies and specific tactics is valuable: from the perspective of a designer whose agency may only extend to redesign of certain elements of a space, product or interface, it is the specific tactical techniques which are likely to be the most immediately applicable, but the broader guiding strategies can help set the vision in the first place. 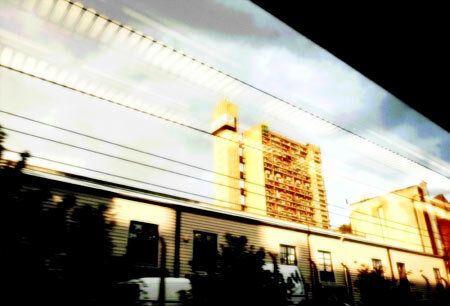 For example, the ‘conditions for city diversity’ outlined by Jacobs (1961)–broad strategies for understanding aspects of urban behaviour–have influenced generations of urbanists. Following the influence of Christopher Alexander (Alexander et al, 1975, 1977; Alexander, 1979), such strategies and tactics may be expressed architecturally in terms of patterns, which describe “a problem which occurs over and over again in our environment, and then describes the core of the solution to that problem, in such a way that you can use this solution a million times over, without ever doing it the same way twice” (Alexander et al, 1977). The concept of patterns, and Alexander et al’s A Pattern Language (1977) will be examined in detail in a future thesis extract, for their form, philosophy and impact, but, as an example, it is worth drawing out a few of the patterns which actually address directly influencing behaviour architecturally (Table 1). Among others, Frederick (2007) and Day (2002) both also outline a range of architectural patterns, some with similarities to Alexander et al’s, including some specifically relating to influencing behaviour. Table 1. Summaries of a few of Alexander et al’s patterns (1977) which specifically address influencing behaviour, simplified into ‘ends’ and ‘means’. Practically, most architectural patterns for influencing behaviour involve, in one way or another, the physical arrangement of building elements–inside or outside–or a change in material properties. In each case, there is the possibility of changing people’s perceptions of what behaviour is possible or appropriate, and the possibility of actually forcing some behaviour to occur or not occur (see future article ‘Affordances, constraints and choice architecture’). These are not independent alternatives: the perception that some behaviour is possible or impossible can be a result of learning ‘the hard way’ in the past. 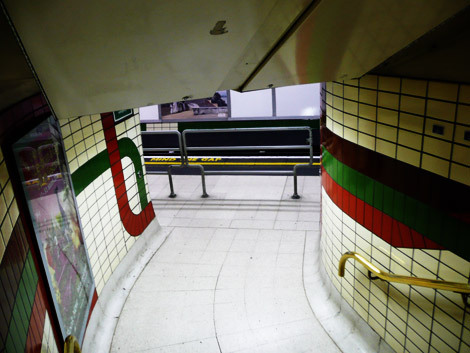 Barrier on the London Underground (Baker Street, from memory), preventing people running down stairs directly onto the track. Most stairs don’t open straight onto the platform like this. 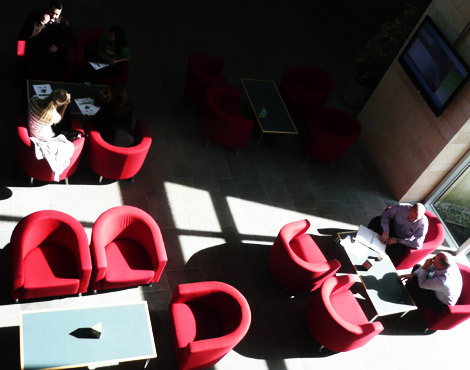 The physical arrangement of elements can be broken down into different aspects of positioning and layout–putting elements in particular places to encourage or discourage people’s interaction with them, putting them in people’s way to prevent access to somewhere, putting them either side of people to channel or direct them in a particular way (e.g. staggered pedestrian crossings which aim to direct pedestrians to face oncoming traffic; Department for Transport, 1995), hiding them to remove the perception that they are there, splitting elements up or combining them so that they can be used by different numbers of people at once, or angling them so that some actions are easier than others (termed slanty design by Beale (2007), both physically and in metaphorical application in interfaces). Urbanists such as Whyte (1980) have catalogued, in colourful, intricate detail the effects that the layouts and features of built environments have on people’s behaviour–why some areas become popular, others not so, with whom, and why, with recommendations for how to improve things, in contrast to work such as Goffman (1963) which focuses on the social contexts of public behaviour in urban environments. 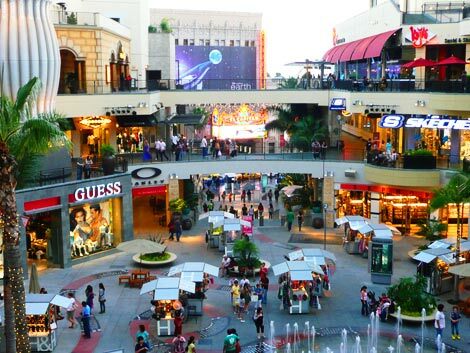 The layouts of shops, hotels, casinos and theme parks, especially larger developments where there is scope to plan more ambitiously, can also make use of multiple aspects of positioning and layout to influence and control shoppers’ paths–Stenebo (2010) discusses IKEA’s carefully planned (and continually refined) “fairyland of adventures” which routes visitors through the store; Shearing and Stenning (1984) examine how Disney World embeds “[c]ontrol strategies in both environmental features and structural relations,” many to do with positioning of physical features; while Underhill (1999, 2004), formerly one of Whyte’s students, describes how his company, Envirosell, uses observation approach to understand and redesign shopping behaviour across a wide range of store types and shopping malls themselves, much of which comes down to intelligently repositioning elements such as mirrors, basket stacks, signage and seating. Poundstone (2010) cites a study by Sorensen Associates which used active RFID tags fitted to shopping trolleys to determine that US shoppers taking an anticlockwise route around supermarkets spend on average $2.00 more per trip; the suggestion is that stores with the entrance on the right will be more likely to prompt this anticlockwise movement. Changes in material properties can involve drawing attention to particular behaviour (e.g. rumble strips on a road to encourage drivers to slow down: Harvey, 1992), or making it more or less comfortable to do an activity (e.g., as Katyal (2002, p.1043) notes, “fast food restaurants use hard chairs that quickly grow uncomfortable so that customers rapidly turn over”). The application of some of these physical positioning and layout and material property ideas to a particular social issue is described in the blog post ‘Towards a Design with Intent method v.0.1’ from 2008. Often combining positioning and material properties, the effect of different seating types and layouts on behaviour comprises a significant area of study in itself, with, for example, work by Steinzor (1950), Hearn (1957), Sommer (1969) and Koneya (1976) helping to establish patterns of likely interaction between people occurring with arrangements of chairs around tables, and overall room layouts in classrooms and mental hospitals. Sommer’s design intervention in the dayroom of an elderly ladies’ ward at a state hospital in Canada–by reducing the number of couches around the walls and adding tables and chairs in the centre of the room, with flowers and magazines–led to major increases in the amount of conversation and interaction between residents. 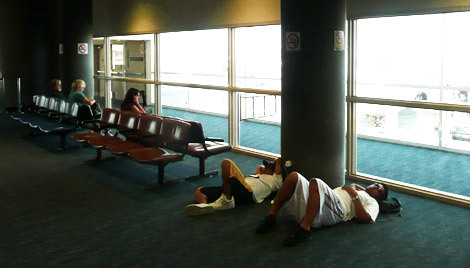 Osmond (1959) introduced the terms sociofugal and sociopetal to describe spaces which drive people apart and together, respectively; Sommer (1969, 1974) notes that airports are often among the most sociofugal spaces, largely because of the fixed, single-direction seating and “sterile” decor: “Many other buildings… such as mental hospitals and jails, also discourage contact between people, but none does this as effectively as the airport… In practice the long corridors and the cold, bare waiting areas of the typical airport are more sociofugal than the isolation wing of the state penitentiary.” (Sommer, 1974: p.72). Hall’s concept of proxemics (e.g. Hall, 1966) provides a treatment of personal space, its effects on behaviour, and its significance in different physical spaces as well as in different cultures. 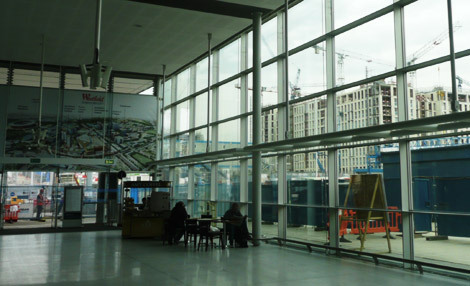 The different ‘distance zones’ identified by Hall–intimate, personal, social and public–have implications for the design process: “If one looks at human beings in the way that the early slave traders did, conceiving of their space requirements simply in terms of the limits of the body, one pays very little attention to the effects of crowding. If, however, one sees man surrounded by a series of invisible bubbles which have measurable dimensions, architecture can be seen in a new light. It is then possible to conceive that people can be cramped by the spaces in which they have to live and work. They may find themselves forced into behavior, relationships or emotional outlets that are overly stressful” (Hall, 1966, p.129). “All buildings are predictions. All predictions are wrong”. Stewart Brand, How Buildings Learn, 1994, p. 178. “I built skyscrapers for people to live in there and now they messed them up–disgusting”. The parallels of the the High/Low Road approaches with the design and use of other systems–in particular software, but perhaps also economic and political systems in general–are evident throughout Brand’s book, although never explicitly stated as such; there are also parallels in planning at a level above that of buildings themselves, such as the clash in New York (Flint, 2009) between the bottom-up approach to urbanism favoured by Jacobs (1961) and the top-down approach of Robert Moses. While it will unfortunately not be considered in detail in this thesis, the emerging power of ubiquitous computing, when integrated intelligently into physical space–”city as operating system” (Gittins, 2007)–could permit a kind of Low Road ‘read/write urbanism’ (Greenfield & Shepard, 2007) in which the ‘city users’ themselves are able to augment and alter the meanings, affordances and even fabrics of their surroundings. One emergent behaviour-related concept arising from architecture and planning which has also found application in human-computer interaction is the idea of desire lines, desire paths or cowpaths. 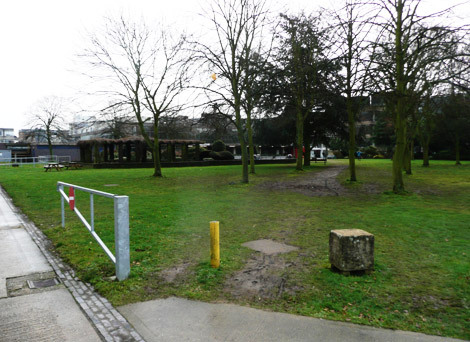 The usual current use of the term (often attributed, although apparently in error, to Bachelard’s The Poetics of Space (1964)) is to describe paths worn by pedestrians across spaces such as parks, between buildings or to avoid obstacles–“the foot-worn paths that sometimes appear in a landscape over time” (Mathes, 2004) and which become self-reinforcing as subsequent generations of pedestrians follow what becomes an obvious path. Throgmorton & Eckstein (2000) also discuss Chicago transportation engineers’ use of ‘desire lines’ to describe maps of straight-line origin-to-destination journeys across the city, in the process revealing assumptions about the public’s ‘desire’ to undertake these journeys. 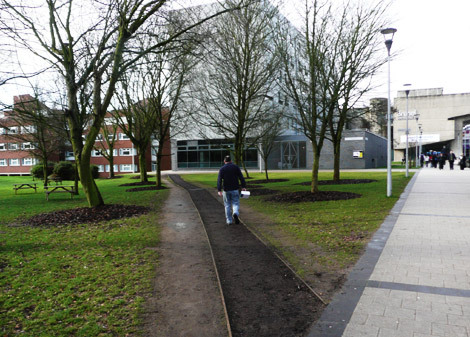 In either sense, desire lines (along with use-marks (Burns, 2007)) could perhaps, using economic terminology, be seen as a form of revealed user preference (Beshears et al, 2008) or at least revealed choice, with a substantial normative quality. As such, there is potential for observing the formation of desire lines and then ‘codifying’ them in order to provide paths that users actually need, rather than what is assumed they will need. As Myhill (2004) puts it, “[a]n optimal way to design pathways in accordance with natural human behaviour, is to not design them at all. Simply plant grass seed and let the erosion inform you about where the paths need to be. 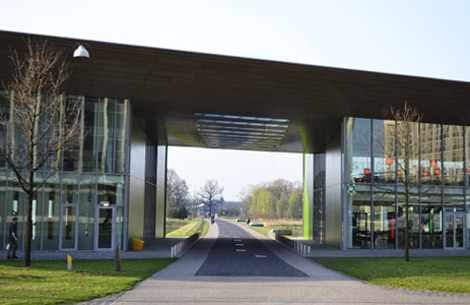 Stories abound of university campuses being constructed without any pathways to them.” Myhill goes on to suggest that companies which apply this idea in the design of goods and services, designing systems to permit desire lines to emerge and then paying attention to them, will succeed in a process of ‘Normanian Natural Selection’ (after Don Norman’s work). 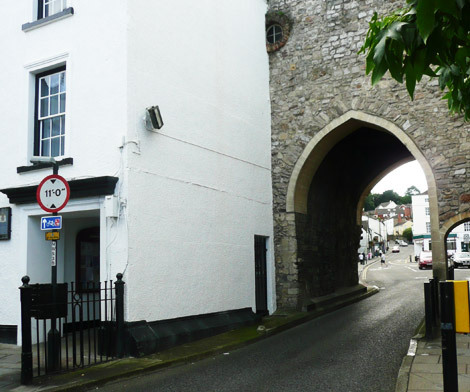 …whereas this one has been ‘paved’ after pedestrians wore a definite path. In human-computer interaction, this principle has become known as ‘Pave the cowpaths’–“look where the paths are already being formed by behavior and then formalize them, rather than creating some kind of idealized path structure that ignores history and tradition and human nature and geometry and ergonomics and common sense” (Crumlish & Malone, 2009, p.17). Particularly with websites, analytics software can take the place of the worn grass, and in the process reveal extra data such as demographic information about users, and more about their actual desires or intention in engaging in the process (e.g. Google is a “database of intentions”, according to Battelle (2003)). This allows clustering of behaviour paths and even investigation of users’ mental models of site structure. The counter-argument is that blindly paving cowpaths can enshrine inefficient behaviours in the longer-term, locking users and organisations into particular ways of doing things which were never optimal in the first place (Arace, 2006)–form freezing function, to paraphrase Stewart Brand (1994, p.157). From the point of view of influencing behaviour rather than simply reflecting it, the principle of paving the cowpaths could be applied strategically: identify the desire lines and paths of particular users–perhaps a group which is already performing the desired behaviour–and then, by formalising this, making it easier or more salient or in some way obviously normative, encourage other users to follow suit. *It is worth differentiating, though, between a visionary approach which considers human behaviour and sets out to change it, and the approach attributed to some other treatments of the ‘visionary architect’ personality, in which human behaviour is simply ignored or relegated as being secondary to the vision of the building itself. In fiction, Ayn Rand’s Howard Roark (in The Fountainhead, 1943) is perhaps an archetype; Sommer’s architect who “learns to look at buildings without people in them” quoted above is perhaps based on real instances of this approach. Architecture can serve as a regulatory force (Shah and Kesan, 2007) and has been used to influence and control public behaviour through embodying power in a number of ways. Direct use of architecture to change the economic or demographic make-up of areas ranges from policies of shopping centres and Business Improvement Districts to shift the social class of visitors to an area* (Minton, 2009), to Depression-era Tennessee Valley Authority’s mandate to revitalise impoverished areas through massive development programmes (Culvahouse, 2007), to government-driven use of settlements to occupy or colonise territories. In this latter context, Segal and Weizman (2003, p. 19), referring to Israel, comment that “[i]n an environment where architecture and planning are systematically instrumentalized… planning decisions do not often follow criteria of economic sustainability, ecology or efficiency of services, but are rather employed to serve strategic and political agendas”. Internal building layouts are analysed for their ‘power’ implications by Dovey (2008), who uses a system of ‘space syntax analysis’ developed by Hillier and Hanson (1984) to examine diverse buildings such as Albert Speer’s Berlin Chancellery, the Forbidden City of Beijing, and the Metro Centre shopping mall in Newcastle-upon-Tyne. One recurring pattern in political buildings is the intentional use of something similar to what Alexander et al (1977, p.610), in a different context, call ‘intimacy of gradient’–a “diplomatic promenade” (Dovey, 2008, p. 65) selectively revealing a sequence of anterooms to visitors, their permitted progress through the structure (the deepest level being the president or monarch’s private study) calculated both to reflect their status and instil the requisite level of awe. Nicoletta (2003) looks at the use of architecture to exert social control in Shaker dwelling houses, e.g. the use of separate entrances and staircases for men and women, and the lack of routes through the house which did not result in observation by other members of the family. Returning to the specifics of architectural schemes, New York ‘master builder’ Robert Moses’ low parkway bridges on Long Island are often mentioned in a similar vein to Haussmann’s Paris (Caro, 1975; Winner, 1986). These had the effect of preventing buses (and by implication poorer people, often minorities) using the parkways to visit the Jones Beach State Park–another of Moses’ projects. However, Joerges (1999) questions details of the intentionality involved, suggesting that the story as presented by Winner is more of a parable (Gillespie, 2007, p. 72) about the embodiment of politics in artefacts–an exhortation to recognise that “specific features in the design or arrangement of a device or system could provide a convenient means of establishing patterns of power and authority in a given setting,” (Winner, 1986)–than a real example of architecture being used intentionally to discriminate against certain groups (see also the forthcoming blog post ‘POSIWID and determinism’). Nevertheless, Flint (2009, p.44) suggests in his book on Jane Jacobs’ battles with Moses over New York planning, that, at least in his earlier years, “Moses strove to model himself after Baron Haussmann”. Perhaps difficult to extract from the political dimension of architecture is the notion of disciplinary architecture, covering everything from designed measures such as anti-homeless park benches to prison design, via Jeremy Bentham’s Panopticon (1787) and Foucault’s ‘technologies of punishment’ (1977). Howell (2001) notes that this is often framed as ‘defending’ the general public against ‘undesirable’ behaviour by other members of the public–in this particular case again, measures to make skateboarding more difficult. Similar measures may be installed by members of the public to defend their own properties: Flusty (1997, p. 48) classifies “five species” of “interdictory spaces–spaces designed to intercept and repel or filter would-be users”, many of which occur frequently in residential contexts as well as public spaces: stealthy space–areas which have been deliberately concealed from general view; slippery space–spaces with no apparent means of approach; crusty space–space that cannot be accessed because of obstructions; prickly space–space which cannot be occupied comfortably due to measures inhibiting walking, sitting or standing; and jittery space–space which is constantly under surveillance (or threatened surveillance). Some of the ways of achieving these species of space will be familiar from other examples discussed in this thesis, particularly prickly space. 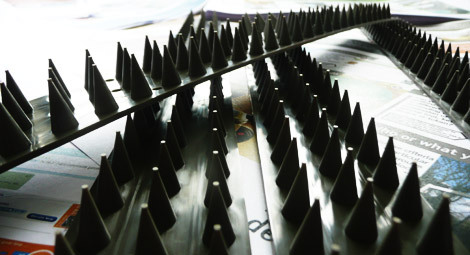 Prikka strips, a popular brand of add-on DIY plastic spikes for your wall. Crowe (2000) provides a practical guide to implementing CPTED with diagrams and ‘design directives’ for a wide variety of spaces, including schools and student residences. Poyner (1983), in a guide which is effectively A Pattern Language for CPTED, outlines 31 patterns addressing different types of crime in different settings–for example, “4.7 Access to rear of house: There should be no open access from the front to the rear of a house. Access might be restricted to full-height locked gates,” addresses burglary and break-ins. Many of Poyner’s patterns make use of the principle of natural surveillance, described in Oscar Newman’s influential book Defensible Space: People and Design in the Violent City* (1972). Natural surveillance implies designing spaces to afford “surveillance opportunities for residents and their agents” (Newman, 1972, p. 78)–effectively, designing environments so that building users are able to observe others’ activities when outside the home, and feel observed themselves (a concept which, applied in the wider context of digital communications and social media, might be termed peerveillance**). There should be parallels with Jacobs’ (1961) concept of ‘eyes on the street’–although as Minton (2009) points out, implementing natural surveillance via enclosed, gated communities where strangers will necessarily stand out means that the residents can become isolated, targets even for burglars who know that it is unlikely there will be any passers-by (or even passing police) to see their activities. Katyal (2002) provides a comprehensive academic review of ‘Architecture as Crime Control’, addressed to a legal and social policy-maker audience, but also interesting because of a follow-up article taking the same approach to examine digital architecture (see future article). One point to which Katyal repeatedly returns is the concept of architectural solutions as entities which subtly reinforce or embody social norms (desirable ones, from the point of view of law enforcement) rather than necessarily enforce them: “Even the best social codes are quite useless if it is impossible to observe whether people comply with them. Architecture, by facilitating interaction and monitoring by members of a community, permits social norms to have greater impact. In this way, the power of architecture to influence social norms can even eclipse that of law, for law faces obvious difficulties when it attempts to regulate social interaction directly” (Katyal, 2002, p. 1075). **The author used ‘Peerveillance’ for a pattern based on this concept in DwI v.1.0, at the time (March 2010) finding only one previous use of the term, on Twitter, by Alex Halavais. As of May 2011, the tweet is no longer findable via either Twitter or Google searches. 3XN (2010) Mind Your Behaviour: How Architecture Shapes Behaviour. 3XN. Alexander, C. (1979) The Timeless Way of Building. Oxford University Press. Alexander, C., Silverstein, M., Angel, S., Ishikawa, S. and Abrams, D. (1975) The Oregon Experiment. Oxford University Press. Alexander, C., Ishikawa, S., Silverstein, M., Jacobson, M., Fiksdahl-King, I. and Angel, S. (1977) A Pattern Language. Oxford University Press. Bachelard, G. (1964) The Poetics of Space. Orion Press. Ballard, J.G. (1975) High Rise. Jonathan Cape. Benjamin, W. (1935/1999) The Arcades Project. Harvard University Press. Borden, I. (2001) Skateboarding, Space and the City. Berg. Brand, S. (1994) How Buildings Learn. Viking. Broady, M. (1966) ‘Social Theory in Architectural Design’ in Gutman, R. (ed. ), People and Buildings. Basic Books. Burns, B. (2007) ‘From Newness to Useness and back again: a review of the role of the user in sustainable product maintenance,’ Presentation at EPSRC Network on Product Life Spans event on Maintaining Products in Use. Caro, R.A. (1975) The Power Broker: Robert Moses and the Fall of New York. Vintage Books. Crowe, T.D. (2000) Crime Prevention Through Environmental Design (2nd ed.). Butterworth-Heinemann. Crumlish, C. & Malone, E. (2009) Designing Social Interfaces. O’Reilly. Culvahouse, T. (ed.) (2007) The Tennesseee Valley Authority: Design and Persuasion. Princeton Architectural Press. Day, C. (2002) Spirit & Place. Architectural Press. Dovey. K. (2008) Framing Places: Mediating Power in Built Form (2nd ed.). Routledge. Flint, A. (2009) Wrestling with Moses. Random House. Flusty, S. (1997) ‘Building Paranoia’ in Ellin, N. (ed.) Architecture of Fear. Princeton Architectural Press. Frederick, M. (2007) 101 Things I Learned in Architecture School. MIT Press. Gillespie, T. (2007) Wired Shut: Copyright and the Shape of Digital Culture. MIT Press. Goffman, E. (1963) Behavior in Public Places. The Free Press. Hacking, I. (1990) The Taming of Chance. Cambridge University Press. Hall, E.T. (1966) The Hidden Dimension. Doubleday. Hatherley, O. (2008) Militant Modernism. Zer0 Books. Hearn, G. (1957) ‘Leadership and the spatial factor in small groups’. Journal of Abnormal and Social Psychology, 54 (2), p. 269-272. Hillier, W.R.G., Hanson, J. and Peponis, J. (1987) ‘Syntactic Analysis of Settlements’. Architecture et Comportement / Architecture and Behaviour, 3 (3), p. 217-231. Hillier, W.R.G. and Hanson, J. (1984) The Social Logic of Space. Cambridge University Press. Ittelson, W.H., Proshansky, H.M, Rivlin, L.G. and Winkel, G.H. (1974) An Introduction to Environmental Psychology. Holt, Rinehart & Winston. Jacobs, J. (1961) The Death and Life of Great American Cities. Random House. Joerges, B. (1999) ‘Do Politics Have Artefacts?’ Social Studies of Science, 29 (3), p. 411-431. Manaugh, G. (2009) The BLDG BLOG Book. Chronicle Books. Minton, A. (2009) Ground Control: Fear and happiness in the twenty-first century city. Penguin. Newman, O. (1972) Defensible Space: People and Design in the Violent City. Architectural Press. Osmond, H. (1959) ‘The Relationship between Architect and Psychiatrist’. In Goshen, C. (ed. ), Psychiatric Architecture. American Psychiatric Association. Poundstone, W. (2010) Priceless: The Myth of Fair Value (and How to Take Advantage of It). Hill & Wang. Poyner, B. (1983) Design against Crime: Beyond Defensible Space. Butterworths. Rand, A. (1943) The Fountainhead. Bobbs Merrill. Rykwert, J. (2000) The Seduction of Place. Oxford University Press. Salovaara, A. (2008) ‘Inventing New Uses for Tools: A Cognitive Foundation for Studies on Appropriation.’ Human Technology, 4, (2), p. 209-228. Scott, J.C. (1998) Seeing Like a State: How Certain Schemes to Improve the Human Condition Have Failed. Yale University Press. Segal, R. and Weizman, E. (eds.) (2003) A Civilian Occupation: The Politics of Israeli Architecture. Babel/Verso. Shah, R.C. and Kesan, J.P. (2007) ‘How Architecture Regulates’. Journal of Architectural and Planning Research, 24 (4), p. 350-359. Shearing, C.D. and Stenning, P.C. (1984) ‘From the Panopticon to Disney World: the Development of Discipline’ in Doob, A.N. and Greenspan, E.L. (eds.) Perspectives in Criminal Law: Essays in Honour of John LL.J. Edwards, p.335-349. Canada Law Book. Sommer, R. (1969) Personal Space: The Behavioral Basis of Design. Prentice-Hall. Sommer, R. (1974) Tight Spaces: Hard Architecture and How to Humanize it. Prentice-Hall. Steinzor, B. (1950) ‘The spatial factor in face to face discussion groups’. Journal of Abnormal and Social Psychology, 45 (3), p. 552-555. Stenebo, J. (2010) The Truth About IKEA. Gibson Square. Sykes, J. (1979) Designing Against Vandalism. The Design Council. Underhill, P. (1999) Why We Buy. Simon & Schuster. Underhill, P. (2004) Call of the Mall. Simon & Schuster. Vale, L.J. (2008) Architecture, Power and National Identity (2nd ed.). Routledge. Whyte, W.H. (1980) The Social Life of Small Urban Spaces. The Conservation Foundation. Zeisel, J. (2006) Inquiry by Design (rev. ed.). W.W. Norton. 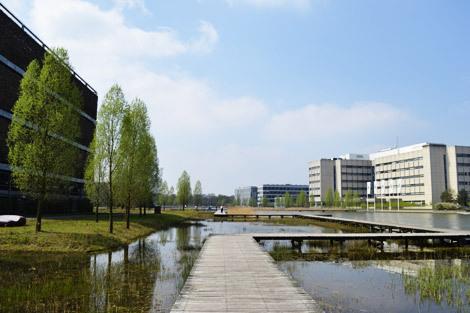 Reminiscent of a scene from Ballard’s Super-Cannes, the Philips High Tech Campus also includes this lake and boardwalk, perhaps affording breakout meetings and secret discussions away from the earshot of office colleagues, although in full view of the surrounding buildings. This is very interesting, but you totally neglect the acoustic dimension. Not acoustics as engineering discipline but as aesthetic modulator of space. Gothic cathedrals are a good example and the medieval composer Hildegard Von Bingen understood this and wrote pieces that “play” the reverberation time. 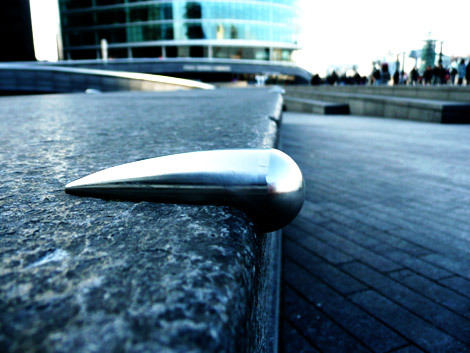 In today’s urban theory we only speak of sound when it’s a nuisance (noise control). What about the sound we like? How do we organize our sonic architecture? Pingback: urbanism.org » Architecture, urbanism, design and behaviour urban news [almost] daily. I’ve read (where I don’t know) that this is a myth. On Haussmann, Vienna is interesting. After the 1848 revolution, in which the revolutionaries used the fortifications, the walls were demolished and replaced by the Ring, anchored by barracks and churches. In 1890, the outer defence line was demolished and replaced by the GÃ¼rtel. In the next few years, the Ring became the great stage of mass demonstrations by the Left. Interesting research and engaging architectural angle on an old story told many times over the years. Well done Dan, this is a terrific blog, with a good collection of essays. Some long standing topics revisited with fresh eyes. Very interesting your work! I am very glad I found your blog! I am studying a masters degree in biodigital architecture in Barcelona. My field of study is a bit different from yours, but it is also interesting!